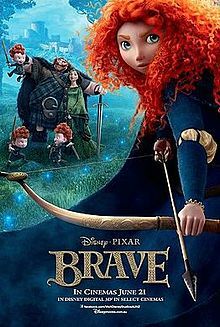 ^ Brave (2012). Box Office Mojo. [August 28, 2012]. ^ The Walt Disney Studios Rolls Out Slate of 10 New Animated Motion Pictures Through 2012. Walt Disney Company, via PRNewswire. 2008-04-08 [2008-04-08]. ^ Eric Vespe. Quint discusses the Pixar half of the Disney Animation Presentation! UP! WALL-E! TOY STORY 3! NEWT! THE BEAR & THE BOW!. Ain't It Cool News. 2008-04-09 [2008-04-09].